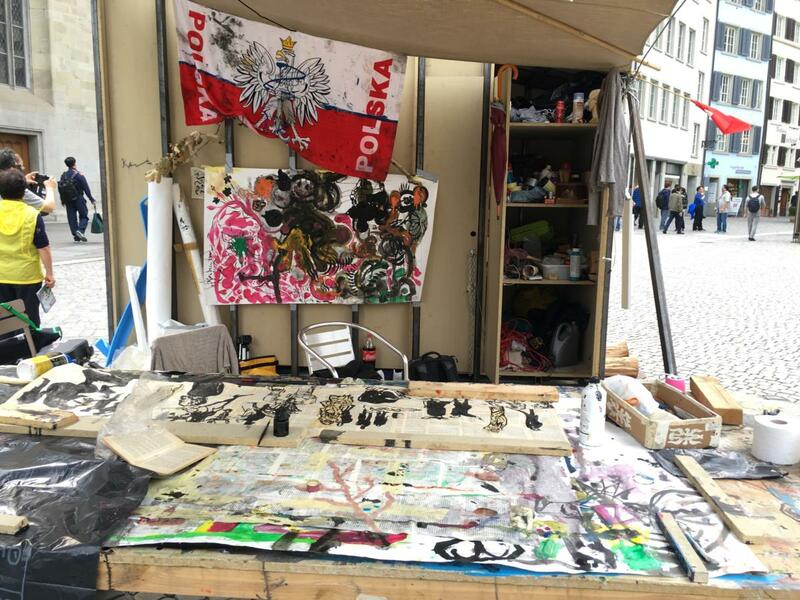 During four weeks, the Polish artist Pawel Althamer realized a temporary work of art at the Münsterhof. 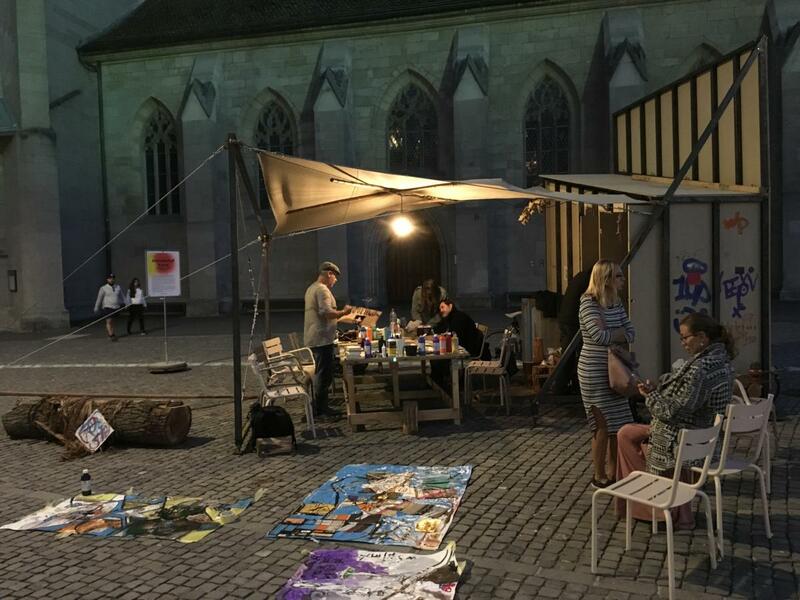 At the invitation of the Working Group on Art in Public Space (AG KiöR) of the City of Zurich, Althamer has developed a participative art project as part of a study commission that enlivens the medieval square with an art guildhall. 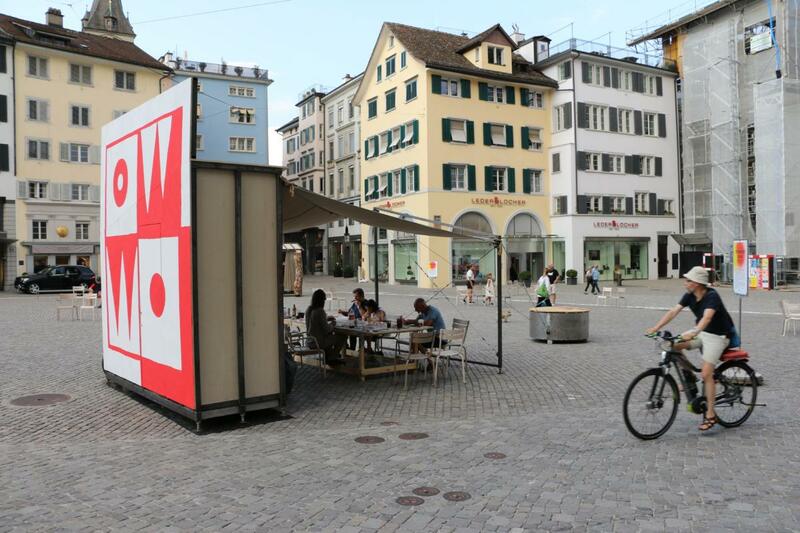 As part of the redesign of the Münsterhof, the Zurich City Council has developed a usage concept. 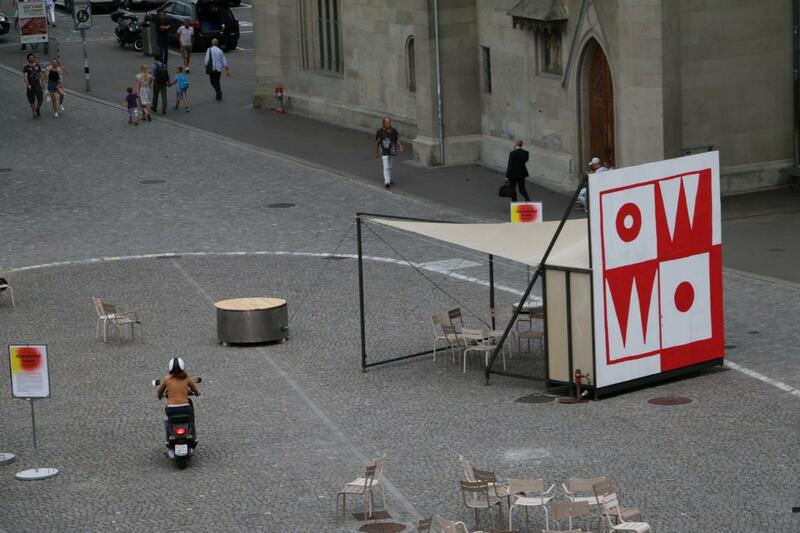 The aim of this utilization concept is to position the Münsterhof as a cultural center. Located in the heart of the city, the medieval square has a unique status due to its history and its urban quality. 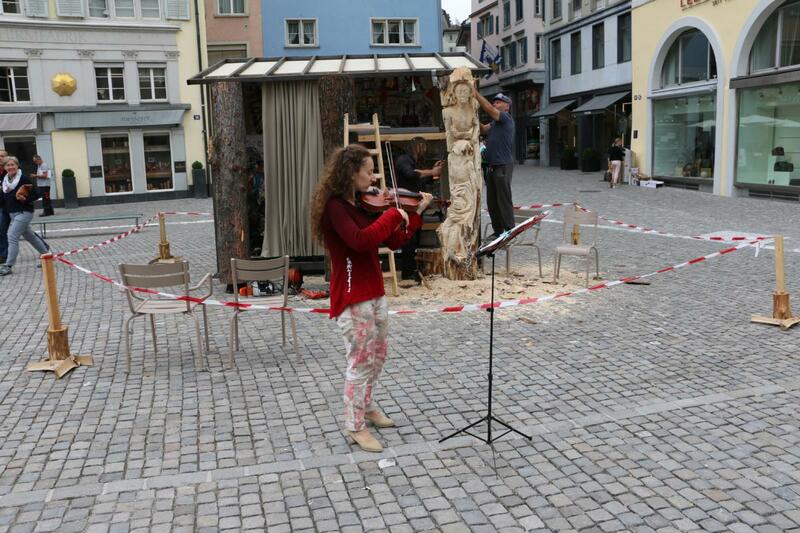 Together with the association Kulturplatz Münsterhof the WG KiöR has evaluated possibilities of artistic interventions. 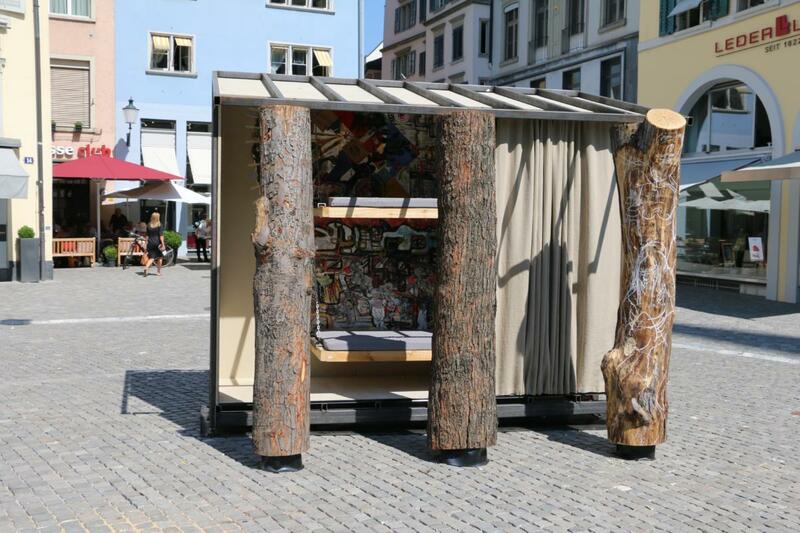 With the Sonnensegel project by Claudia Comte, a series of three pilot projects was launched in 2017, with which the potential, the impact and the feasibility of art at the Münsterhof are to be tested by 2019. 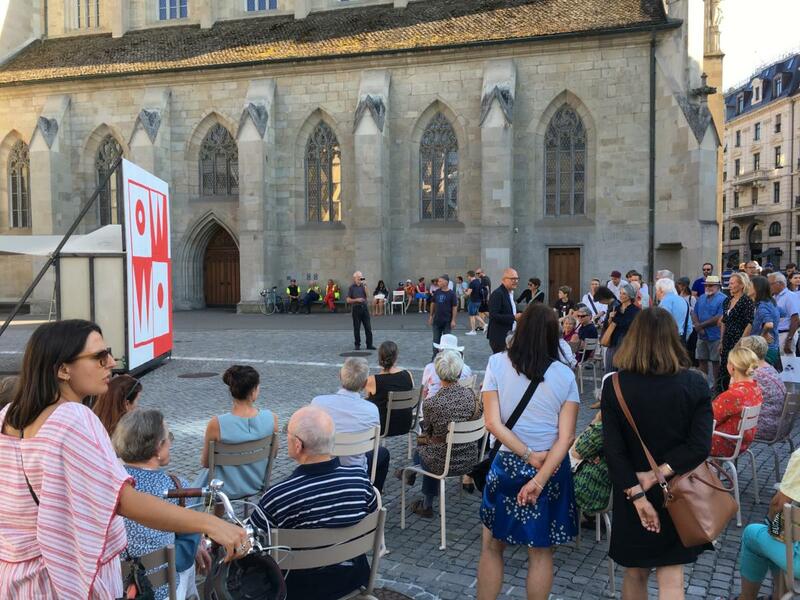 The civil engineering office of the city of Zurich finances the pilot projects. 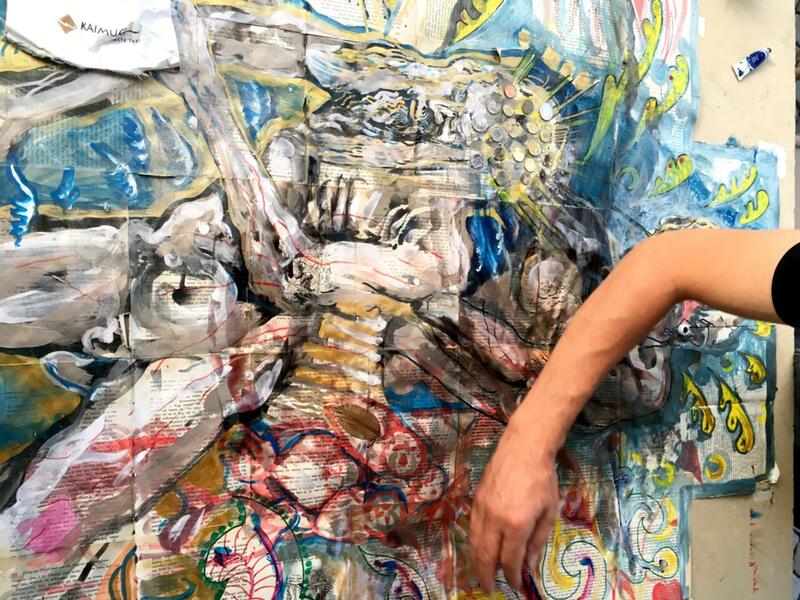 The 51-year-old Pole Pawel Althamer is one of the most renowned contemporary artists, whose works have been featured prominently in the Center Pompidou in Paris and at the Venice Biennale. In particular, with much public intervention and participative methods involving broad sections of the population, Althamer has made a name for itself. 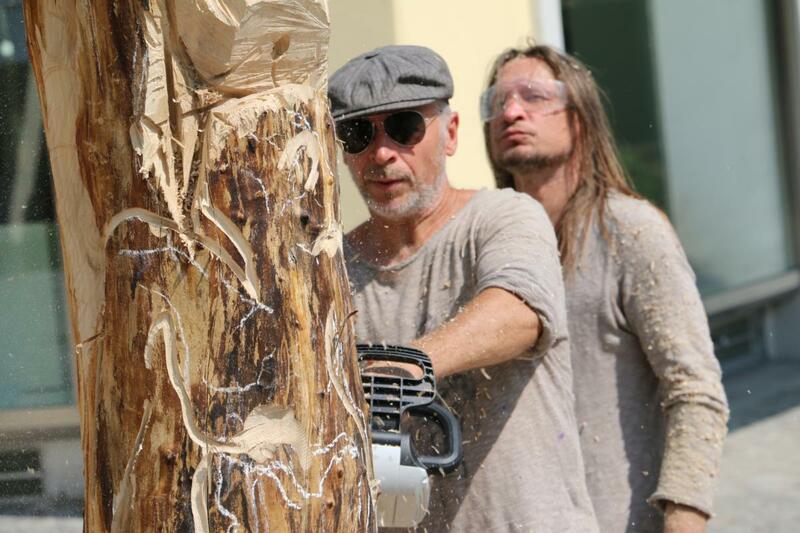 At Münsterhof, Althamer built his studio for four weeks and worked there on a daily basis – alone, with other artists or with passers-by. 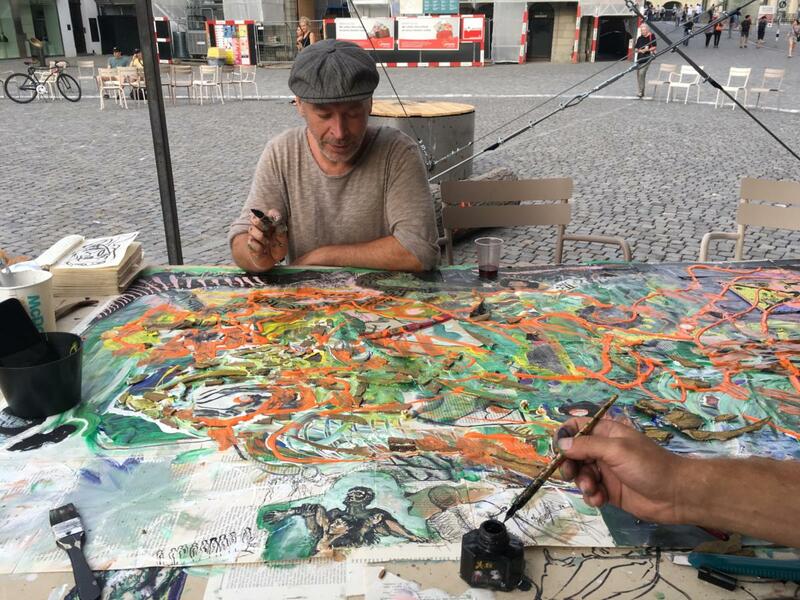 He wanted to run a “temporary guild house of art”, a tribute to the three historic guilds Meise, Waag, Kämbel am Münsterhof. 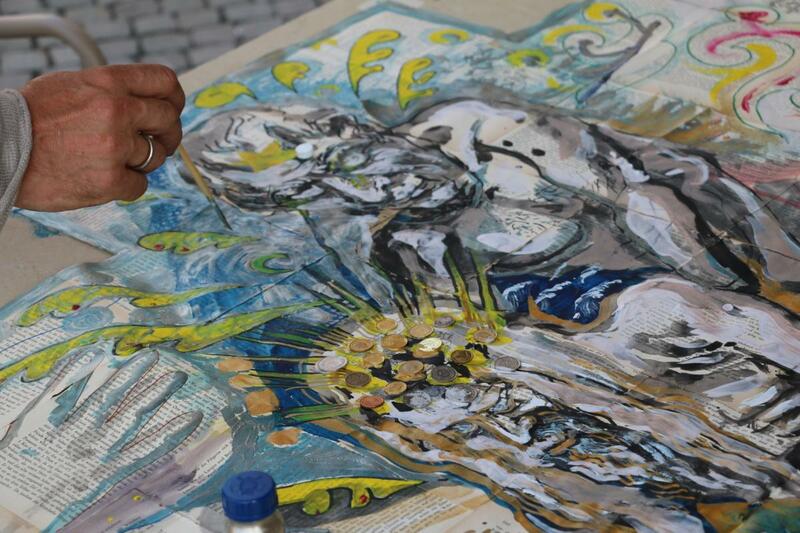 Althamer’s aim is to detach his artistic work from the isolation of the studio and to practice it as a communicative exchange with the urban environment. 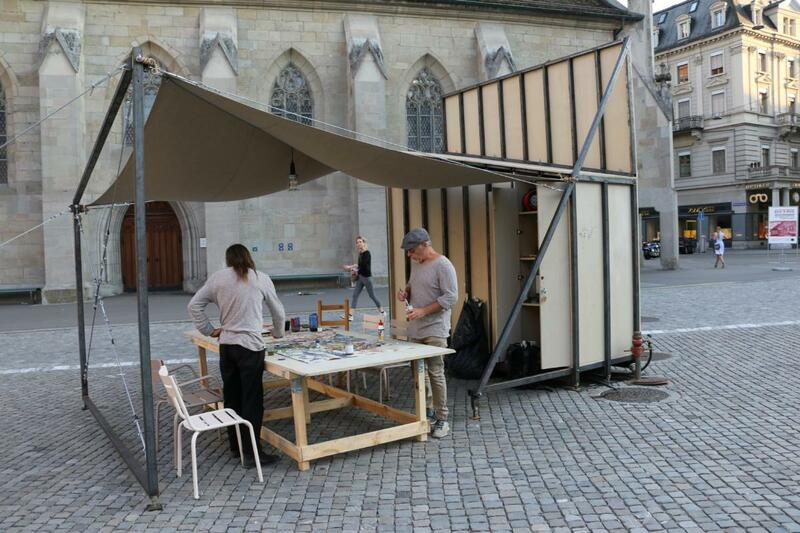 With this, the artist continues to develop the traditional urban function of the Münsterhof as a meeting place and place of communication. This is also the subject of OWOW, the title of his work: the short form of the Polish «Obszar Wspólny / Obszar Własny» (common area / own area) goes back to a well-known lecture series on nonverbal communication by Grzegorz Kowalski at the Warsaw Academy of Fine Arts, where Althamer studied. 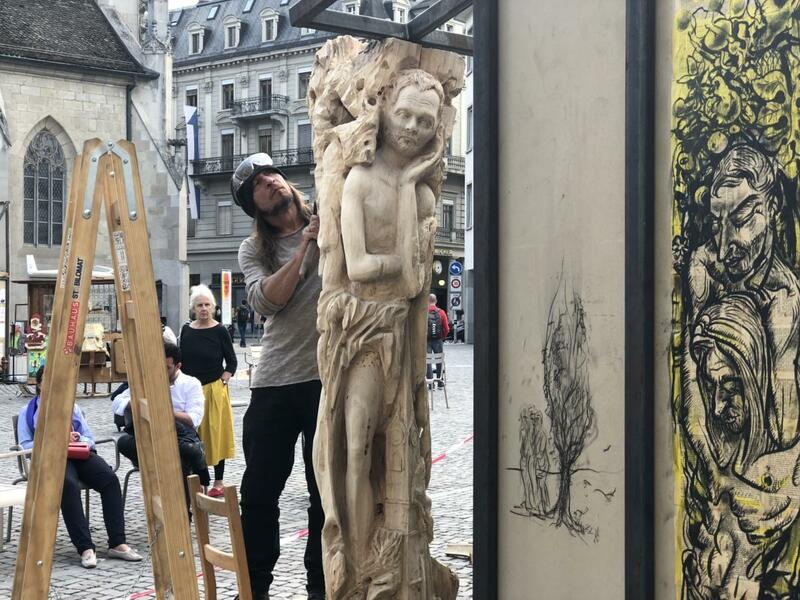 The studio, which according to Althamer is the “heart of the artist”, becomes a freely accessible space in the Münsterhof, making art a joint act.